Nailers and staplers:versatile and essential tools for your toolbox! The first “modern” stapler was manufactured in 1934, and the first nail gun, 20 years later in 1954. Also known as nail guns and staple guns, nailers and staplers are utilized to fasten or hold parts or materials together. Here a little reminder on how they work: nails or staples, bought in strips or coils, are loaded into the stapler or nailer’s magazine. The hammering force comes from using either compressed air (pneumatic), a spring or an electromagnetic field (electric) to fire the staples and nails. Being extremely useful and versatile, the nailers and staplers can make construction projects and craft significantly simpler and faster, thus, increasing the productivity with less strain and efforts. If you are thinking about getting a brand new nailer or stapler, lookat our complete buying guide that will tell you everything you need to know about nailers and staplers. What do I need a stapler or nailer for? Contact trip (or continuous firing):This mechanismallows the user to “bump fire” staples and nails simpleby pressing the nose of the tool against the surface while holding down the trigger. This technique is extremely useful forproduction-type work (such as shingling a roof). This "bump nailing" mechanism takes some time to get used to. Indeed,the tool candrive two fasteners if the user doesn’t life it fast enough. Also, accidental contact can end upin unintendednail discharge or ricochet. There are many models of nailers that come with both triggers. This approach allows the user to choose the one he finds the most appropriate for his project. Only a few models offer only one or the other mechanisms. Staplers work mostly in the same way. However, somespecialized tools, such as the upholstery stapler, workjust like a standard hand stapler: squeezing the trigger fires the staple. However, aflooring staplerneedsa mallet or hammer to strike the firing pad and drive the staple in. If you are not sure about the type of nailer or stapler that you need, here is an overview of the models available on the market in order to make an informed choice. A staple is a two-pronged fastener. The crown (horizontal part) ensures strongplacement and prevents the staple from sinking into the material too deeply. Various models of staplers drive staples of different lengths, ranging from ½" to 2". For hobbies and crafts, to repair or assemble wood pieces, such as drawers, cupboards, boxes and crates. For areas that are out of sight or when appearance is unimportant. Fastens finishing nails and staples from 5/8" to 2", depending on the model. Perfect for stapling thin pieces of wood, such as drawer bottoms, to keep glued parts together, and for nailing baseboards, moldingsand trim. Also for finishing a cladding or panelling project. For sustainedperformance, it is recommended to use the nailer and the stapler equally often. Using only the nailer can unbalance the drive mechanism. The drive mechanism may leave marks on either side of the nails since it is also intended for staples. Make sure youadjust the nose angle to reducemarkings. The marks canbe concealed once the finishing has been done. Can fire1/2" to 1 3/8" 23-gauge headless pin nails, so tiny there is no need to mask the holes. 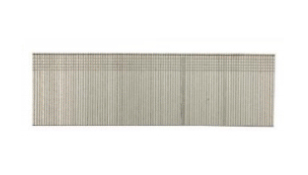 Strips can contain up to 120 pin nails. Ideal for small craft projects or finishing work, such as keeping a narrow cabinet molding in place while the glue dries. It can happen that pin nails don't often provide a solid hold. Therefore,they are used in combination with glue. Can easily sink 2" to 3 ½" framing nails (with head). Fitted with angled strip loader or coil loader. A serrated nose tip offersa positiveand comfortablegrip on the nailing surface. Specially made for tough jobs. Strip nailers are perfect for house and deck framingtasks because they are narrower and easier to use in tight spaces between joists and studs. 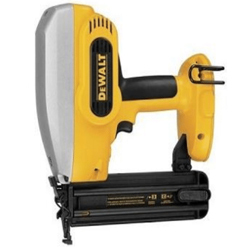 Coil nailers can hold more nails than strip nailers, which makes them suitable for building palettes or assembling parts on a jig. Strip nailers are perfectfor house and deck framing tasks because they are narrower and so easier to use in tight spaces between joists and studs. Coil nailers can hold morenails than strip nailers. Thismakes them suitable for building palettes or assembling parts on a jig. Roofing nailers are made for roofing jobs only. There are not suitable for other types of work, given that roofing nails are specifically manufactured for attaching shingles and tiles. Specifically designed for fastening outdoor siding with ¼" to 2 ½" siding nails. Made with lightweight materials for easy manoeuvrability. Not suitable for any other jobs. Pre-painted nails are available on request to match the colour of the siding. A stapler/nailer could be used for the finishing work. Designed for fastening wood flooring. Flooring power tools drive staples (for standard hardwood flooring), nails (for extremely hard wood such as bamboo, acacia, walnut), or both using a 2-in-1 stapler/nailer. Release mechanism: hitting the driver head with a hammer or mallet. Side or rear load magazine. Drives L-shape cleats or staples. The base is made of a material that will notscratch the wood. The air intake is inclined, making it easier to handle. Specifically made for precise staple placement. The stapler must be heldsolidly against the boards. The fasteners are driven diagonally into the flooring, always at the same angle and depth, to providestraight, well-secured tongue and groove boards. Fits in the palm of yourhand. Works solely with an air compressor. No magazine or trigger mechanism. Powerful enough to repeatedly drive 1 ½" to 3 ½" nails. Magnetic nose holds nails in place for accurate positioning. The palm nailer is made for hard-to-reach locations or cramped confined work, where using a larger nailer or hammer is impossible. 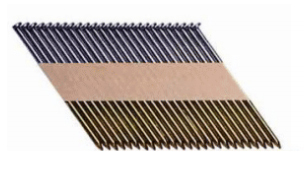 Nail and staple refills come in strips or coils.Here is an overview of the models available on the market in order to make an informed choice. Loading a nail strip is fast and easy.All you need to do it to slide the strip into the nail or staple gun’s magazine. A strip can vary in quantity depending on the nail’s type, e.g. 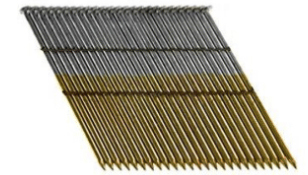 20 to 40 for framing nails and up to 120 for pin nails. The tool's housing is slimmer than a coil nail gun. 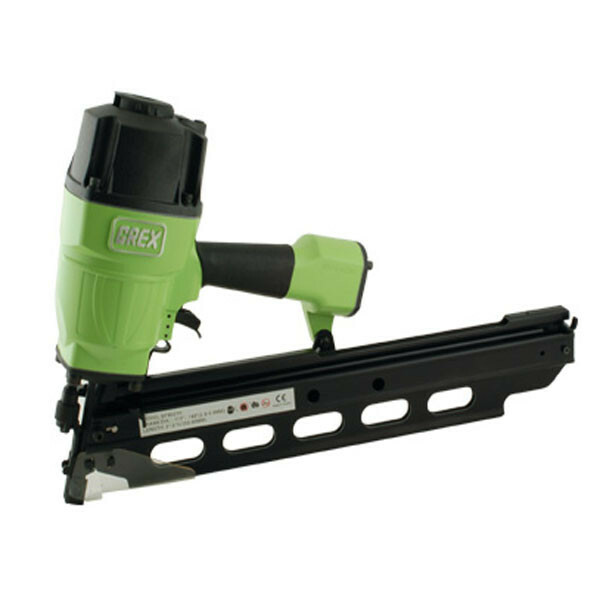 A strip nailer works better in tightand confinedareas. Some models take only one strip at a timeandothers can be loaded with two strips. The cost per nail is higher than for coil nails. The coil must be threaded, that takes a little bit more time and handling for refills. The coil canister holdsbetween120 to 300 fasteners. 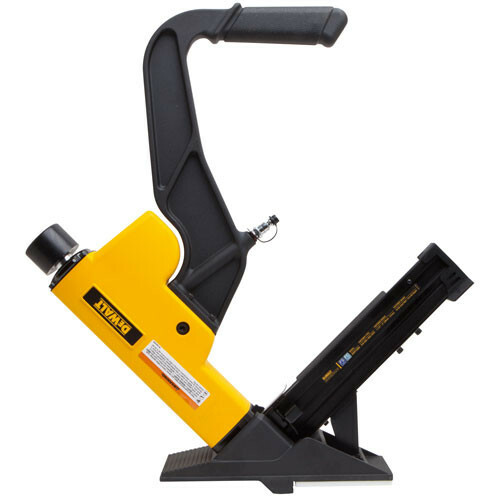 Coil nailers need to be reloaded less often than strip nailers. More nails, however, make the tool heavier, and by extension, somewhat more unwieldy.The cost per nail is lower than for strip nails. Generally, the nails are covered with a dual-function coating, for lubricating and strengthening. When the nail is hammered in the surfaceor material,the intense friction heats the coating to melting point and lubricates the nail as it slides through. When the coating cools, itallows the nail to bond to the nailing surface, thus, increasing the holding strength. Roofing nails do not have this coating. Headless/finish nails (or staples) glued together to make a strip. Clipped-head nails (provide more nails per strip) held together by paper tape. This type of nails are the most economical alternative. 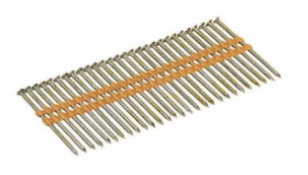 Full round-head nails, held together by wire strips and rolled. Nailersand staplers use different power sources for different projects and purposes. Look at the chart below to learn about the power sources used by each of them, with their different uses and features. The compressed air must drive the piston down to propel the nail out of the chamber. With a gas-powered stapler or nailer, thegun's battery sends a charge to a spark plug. This ignites the gas, creating a small explosion. The resulting pressure propels the piston downward, so that the nail is shot from the gun. The battery powers a mechanism (solenoid) to produce an electromagnetic force (electromagnet) that pushes the piston out, thus, driving the nail out. 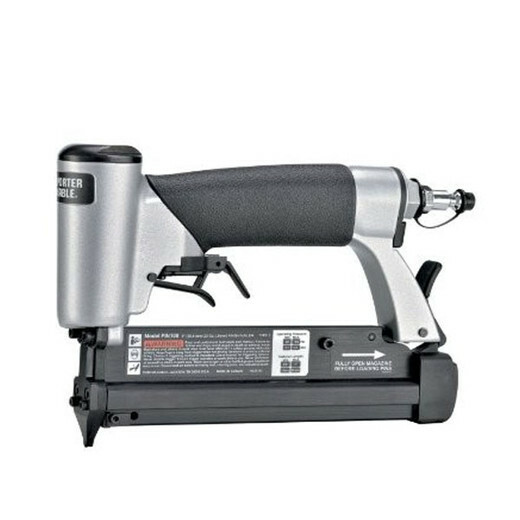 How to pick the right nailer and / or stapler for the job you need it for? If you have questions about nailers and staplesand their components, or if you can’t find the information that you have been looking for, you can contact us by phone or email, or come visit us to our hardware and tool shop at the address below. You can also buy you tools online and get fast shipping everywhere in Canada or free in-store pickup at our store location. Shop online at federatedtool.com !